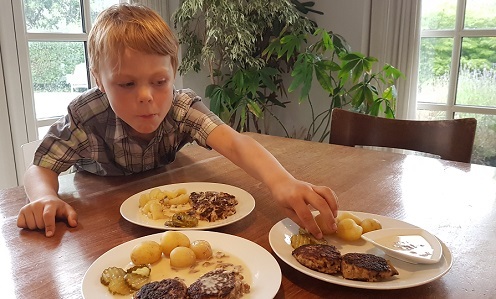 Getting children to eat their food is a challenge for many parents but new research from Future Consumer Lab at the University of Copenhagen could help. It turns out that children have different preferences for how food should be arranged on the plate to make them want to eat it, depending on gender and age. The way you arrange food on a plate affects how well children of different ages like it. The aim of the research from Future Consumer Lab was to investigate whether children prefer their food served in a particular way and whether their gender and age make a difference with regard to their preferences. ‘As a researcher, I have anecdotally heard parents say that their children prefer to have their food served in a particular way, including in a specific order. 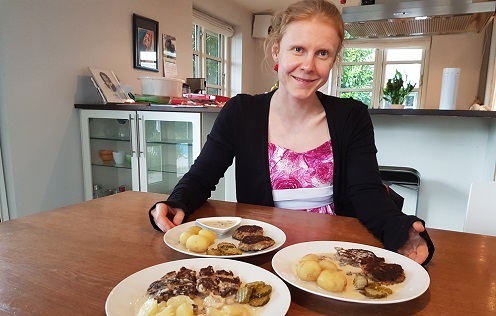 But we do not have much evidence-based knowledge about how children sort and eat their food, which is very relevant when, for example, we want our children to eat more vegetables – or eat their food in general,’ says Associate Professor Annemarie Olsen from Future Consumer Lab, at the Department of Food Science at the University of Copenhagen. In addition to being a helping hand for parents, the research can be used to optimise meal programmes in schools and meals that are delivered to pupils by external suppliers. We already know that you can get children to eat more fruits and vegetables just by presenting them in small portions and making them freely available, so you can easily grab them and eat them. We also know that the visual presentation affects how much children eat. ‘At the same time, it would be nice to know whether there are big gains to be made just by arranging food on the plate in a certain way,’ says Annemarie Olsen. Associate Professor in Sensory Consumer Science Annemarie Olsen is one of the authors of the article. With all the food mixed together. From the children’s prioritisation of the displayed photos, the researchers could see which presentation of the food they liked best and which serving style they least cared for. The study shows that younger girls (aged 7-8) prefer the separate serving style, while boys of the same age do not have a preference for how the food is arranged. The research also shows that children between 12 and 14 years prefer food to be either mixed together or served as a mix of separate and mixed-together ingredients. 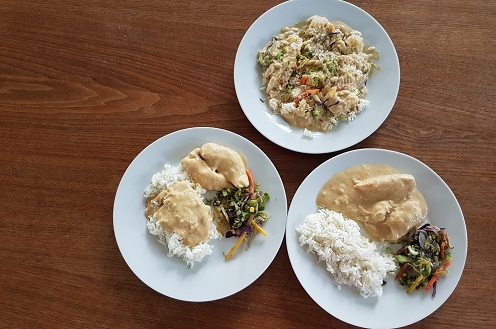 6 different dishes were tested, including rice with chicken and potatoes with meatballs. The research does not say why younger girls prefer to have their food served as separate ingredients. ‘One suggestion could be that they believe that the different ingredients could contaminate each other. But it could also be that they prefer to eat the different elements in a certain order or that the clear delineation just provides a better overview,’ says Annemarie Olsen, who, based on the research, advises that you serve food separated on the plate – at least when it comes to the younger age groups. ‘Of course, the child can mix the food when the various elements of the food are separated on the plate, while the reverse is not possible,’ she says. The article ‘Serving style preferences for various meal arrangements among children’ has been published in the Journal of Sensory Studies. The authors are Simone Nielson, Sigrid Nielsen and Annemarie Olsen, all from Future Consumer Lab at the Department of Food Science (FOOD) at the University of Copenhagen. The research is funded by Nordea-fonden.